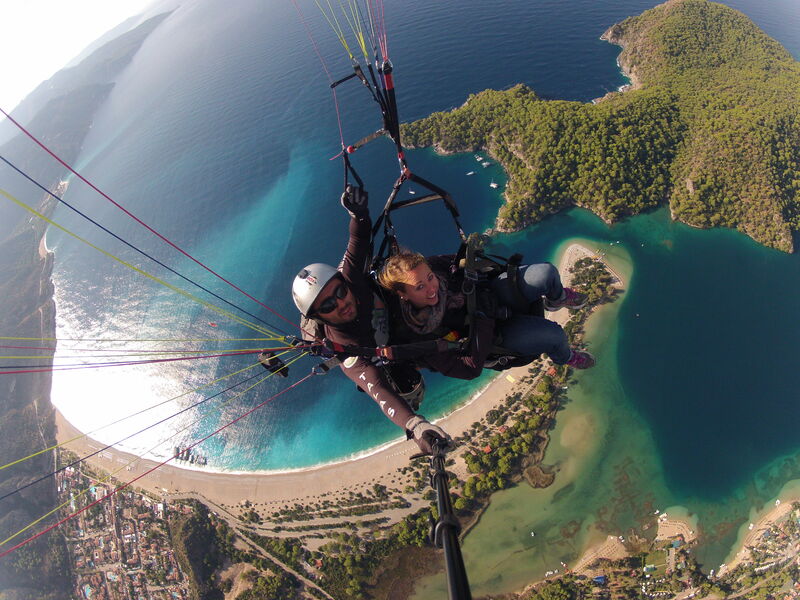 During my Kurban Bayram Holiday there was one thing that I wanted to do –> Go to Fethiye and Paraglide. Not only was I set on this my travel buddy Emily (Gonz) had her heart set on it too. 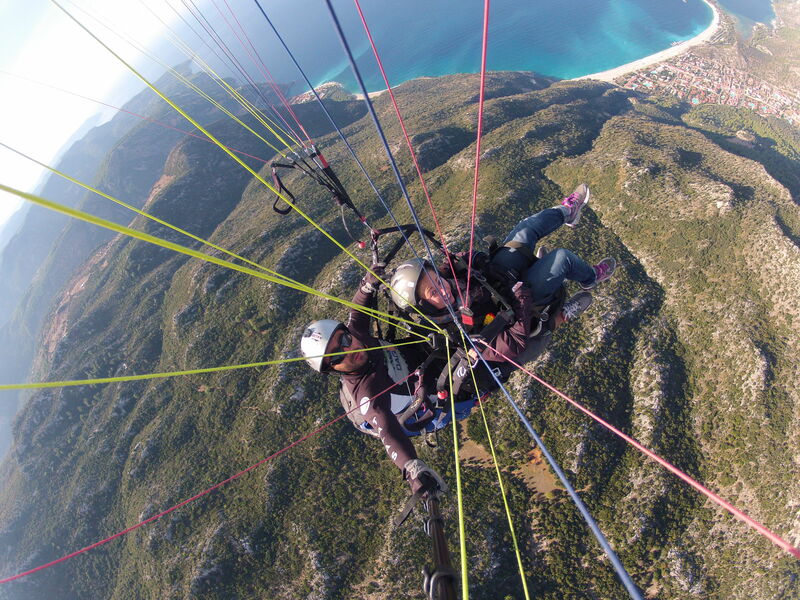 We were not going to leave Southern Turkey without fulfilling our paragliding desires. 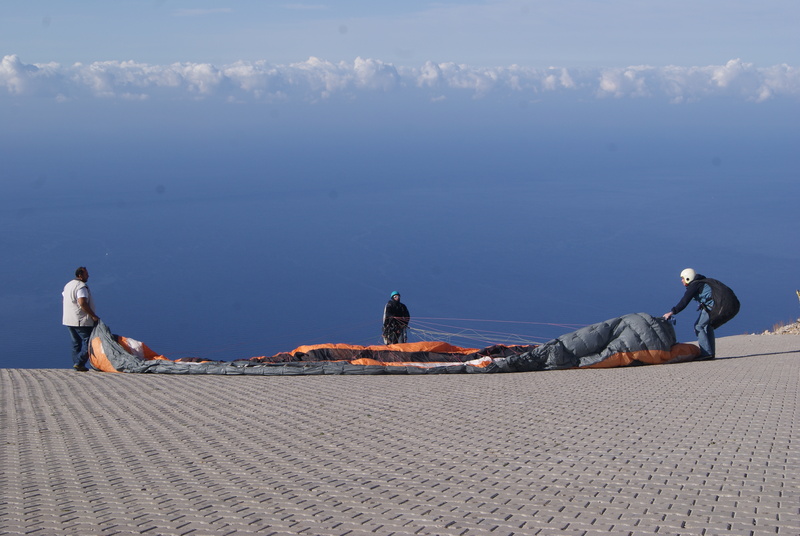 After 5 days had passed and we still had not gone paragliding, our hopes were looking dismal, but fear not, we went sky high and it was glorious. 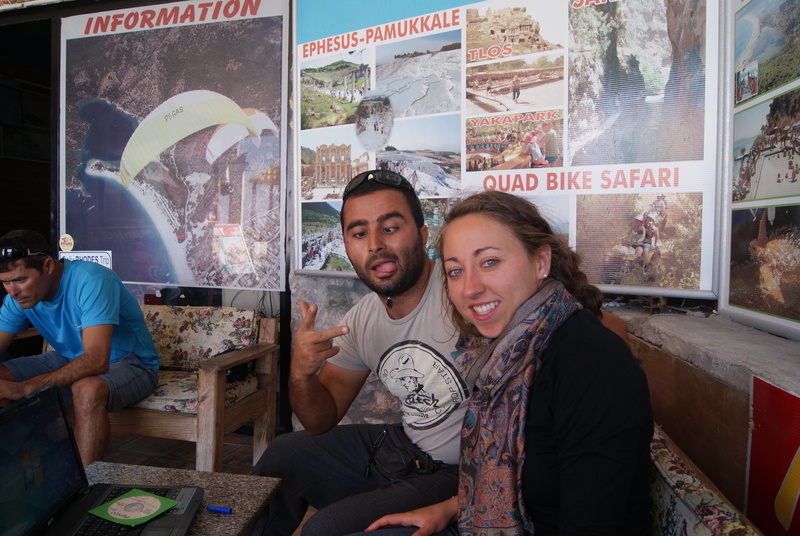 We woke up early to get down to the paragliding office. We were loaded into a van along with some others who wanted to tandem fly and some pilots. 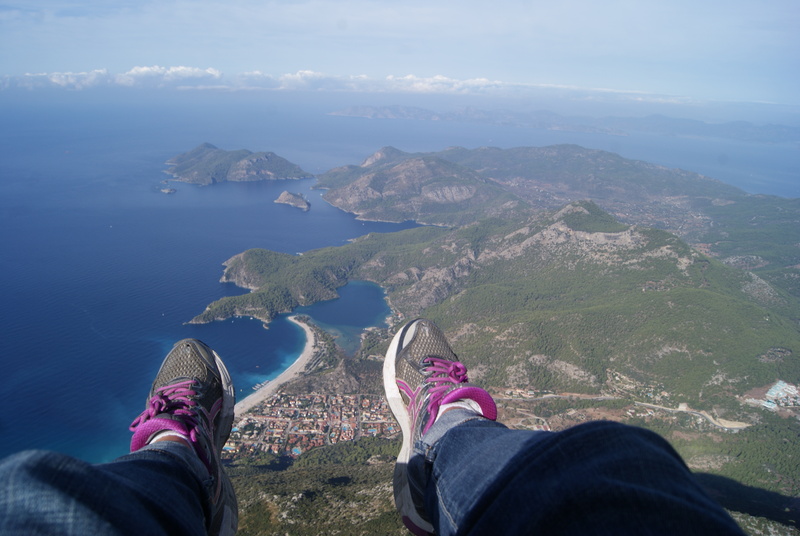 Off we set for the top of Babadağ – (translation – Father Mountain). You drive up the mountain for a good while – granted it is almost a 2,000m climb. Once you get to the top, things start happening, none of which are the signing of release papers. This is Turkey after all. So there I am at 2,000 meters in the sky with the wind blowing and a crazy pilot man with the tiniest beard tied into a ponytail selecting me as his chosen one to fly with. 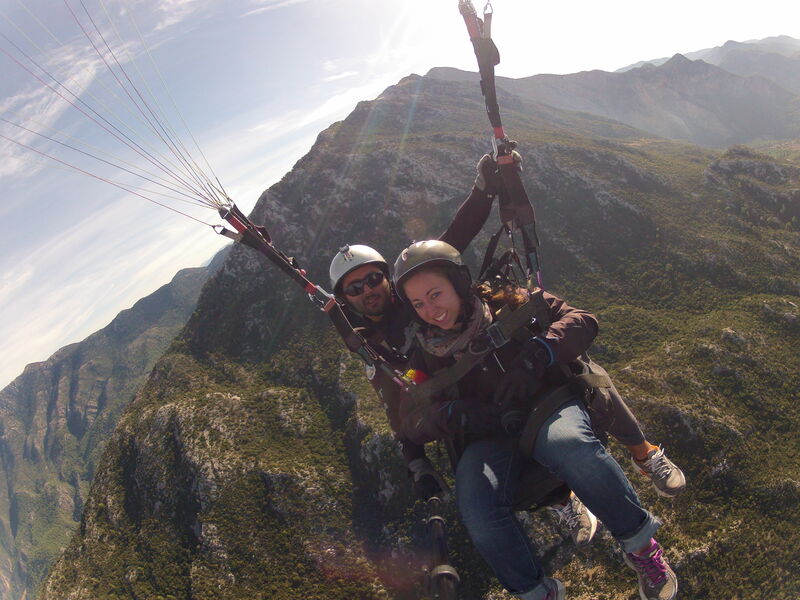 As soon as “we” had agreed on each other, I was soon in a paragliding jacket, gloves, a helmet on my head and I was harnessed into the weird seat and buckle safety. My instructions from my pilot: “When I say walk, walk; when I say stand, stand; when I say run, run” and before I knew it I was snapping photos of my friend Gonz going through the same “preparations” and then I was waving farewell as she went running and leaping off the mountain. Before I knew it, I too was running off a mountain too and while a Hail Mary and an Our Father passed my lips, I knew it was what it was because my feet were no longer standing on solid ground. 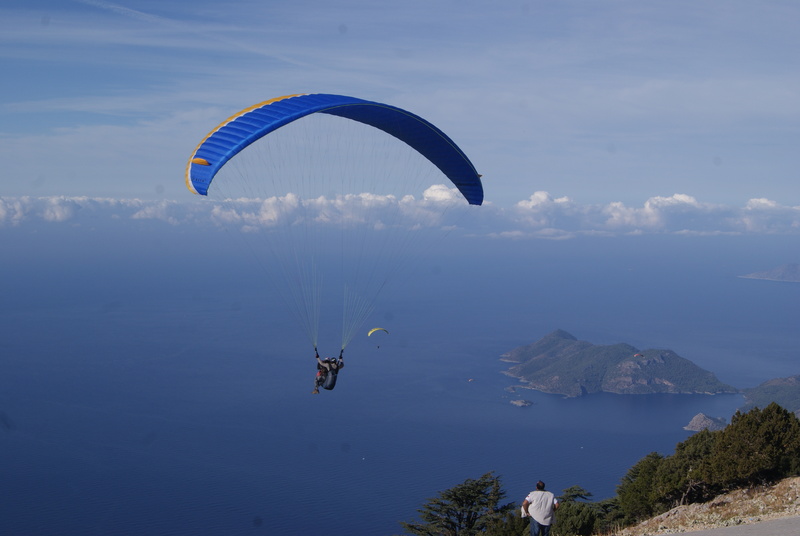 The whole process leaves you no time to second guess your decision and paragliding down becomes your only option in the end and I couldn’t be more glad for that. 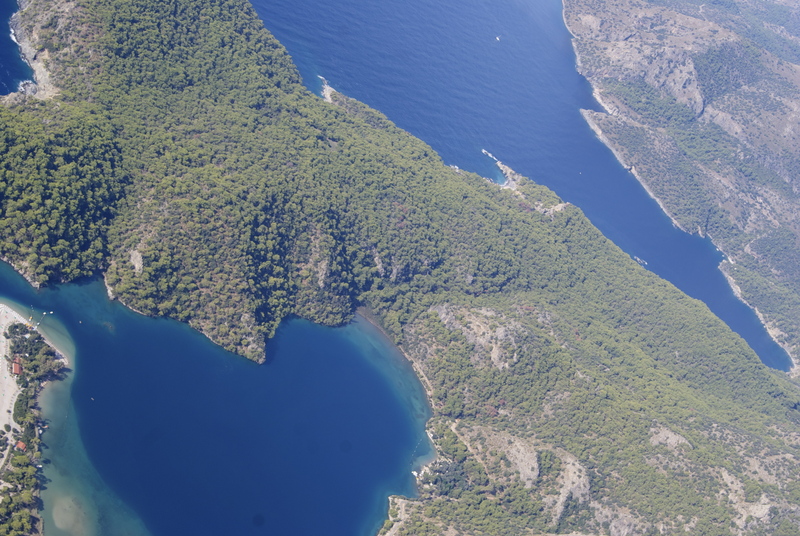 Soaring above Ölüdeniz – (Dead Sea/Blue Lagoon) was surreal and it makes 100% sense why this is a top paragliding sight in the world. One of those things I had to double check the accuracy on with my pilot telling me. Granted I would have believed anything he told me up there. My pilot was fantastic. 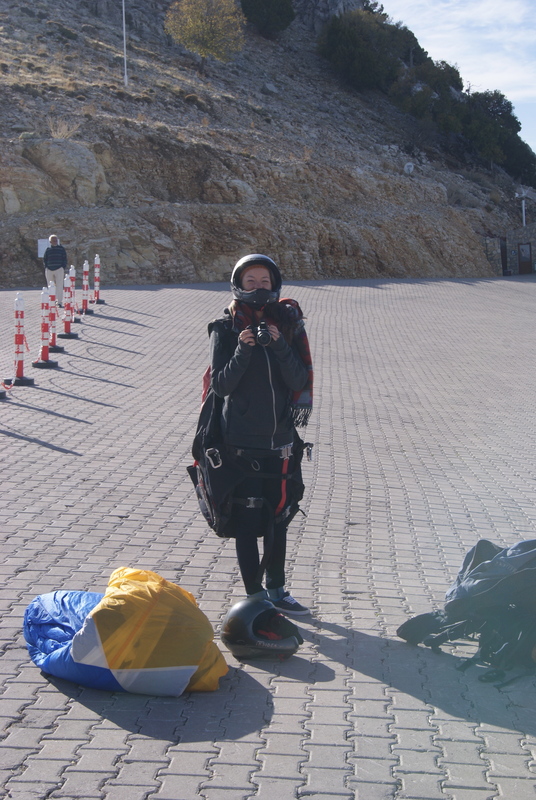 At one point he asked if I liked extreme sports, to which I said yeah – I scuba dive. His response – yeah ok that is semi-extreme. Not sure my scuba instructor – Scuba Lee – would be too keen on that answer. Nonetheless, my pilot did some “extremes” with me and spinning in circles in the air is like no rush I have ever experienced before. Check out the video –> HERE! OMG – how brave are you! That looked pretty darn cool. Major jealousy.